In the world of medical cannabis, terpenes are asserting their rightful place. These aromatic chemical compounds aid cannabinoids, which include tetrahydrocannabinol and cannabidiol—to perform more effectively in what’s colloquially known as the entourage effect, where the active ingredients of the cannabis plant provide the biggest health impact when used in combination. Each cannabis strain has its own distinctive terpene profile and has numerous differing terpenes. 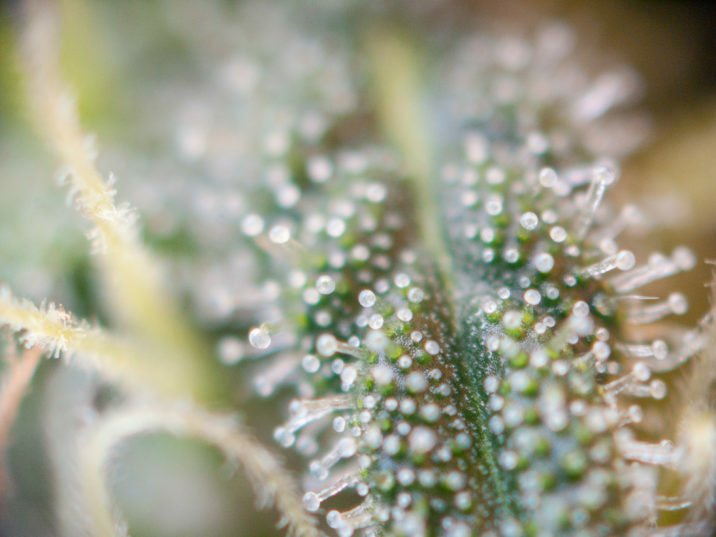 Terpenes are produced in the trichomes (the glands that create resin rich in cannabinoids) of the female cannabis flowers, where they act as protection against predators. With modern advancements, modern growers can increase cannabinoid and terpene levels to precisely target the desired effects of that particular strain. Unlike cannabinoids, which exist solely in cannabis, terpenes are found in many different species of plants. Currently, there are around 20,000 distinct terpene compounds identified, and around 200 can be found in cannabis. A single strain of pot has only a portion of those 200, and most of them are found in trace amounts. Limonene is a monoterpene and is a clear and colorless oil in the peel of citrus fruits like lemons, oranges, grapefruits, limes, and pomelos. Limonene belongs to a group of compounds called terpenes—organic aromatic compounds produced by plants to either deter herbivores with a potent scent or to attract the predators and parasites of these herbivores. Terpenes are also frequent constituents of complex chemical compounds, like steroids. Limonene is used in dietary supplements, cosmetics, bathing products, and perfumes because of its versatility. It is also frequently used as an ingredient in cleaning products, and, because of its combustible nature, a possible biofuel. Because they can be extracted from plants other than cannabis, the research on the effects of limonene is quite extensive. Limonene enhances the way our body absorbs cannabinoids and other terpenes, either through the mucous membranes, digestive tract, or the skin. Note: Keep in mind when reading this research, that these studies were conducted using therapeutic doses of pure limonene. For example, the patients in the first study were taking two grams of limonene daily. Cannabis only has a trace or very small amounts of limonene and using cannabis does not guarantee any of the health benefits found in these studies. Both of these preclinical studies were conducted at the Cancer Center of the University of Arizona and found that limonene indeed helps with the reduction of cancer-cell proliferation. Introducing limonene to the cancer cultures also reduced the size of the analyzed tumors. The first study analyzed samples from 43 women who had early-stage breast cancer. This preclinical study was also performed at the Cancer Center in Arizona, on cell cultures and animals. Limonene from citrus peels displayed promise for treating cancer, showing upon ingestion a wide range of chemopreventive and chemotherapeutic effects. Perillyl alcohol (which is the analog of limonene) was also tested, and while it also showed promise and even more powerful effects, because of the high toxicity of perillyl alcohol the clinical trials were stopped, and the scientists continued to focus on limonene. Unlike perillyl alcohol, limonene was well tolerated, and even as its mechanisms aren’t yet figured out by the researchers, the anti-cancer and immune modulating effects are verifiable. Mainly observing the inducement of apoptosis (cell-suicide) from the introduction of limonene, this study also examined its chemopreventive and antiproliferative effects on skin tumor cultures of mice. The results showed that there was a significant reduction in tumor size, and limonene was also slowing down the overall progress of the examined skin cancers. The team in charge of this research concluded that the combination of several beneficial effects of limonene, including the diminishment of inflammation, lessening of oxidative stress and apoptotic inducement make this terpene a great ally in the battle against skin carcinoma. Conducted on perillyl alcohol, or POH (which is a metabolite of limonene), this research examined the effects of POH on patients who have recurrent malignant glioma, more precisely glioblastoma (also called GBM). The team was looking into the potential and efficiency of intranasal administration of POH, in regards to halting and arrestment of gliomagenesis (the advancement of GBM). The research was conducted on 89 adults with recurrent glioblastoma who received 440mg of POH on a daily basis, and 52 adults who only received supportive treatment, without perillyl alcohol. The results of this study showed that the group who was administering POH survived significantly longer, and the side effects of perillyl alcohol were practically nonexistent, even with patients who were using it for a period of over four years. Focusing on the anti-inflammatory and tissue healing properties of limonene, this study analyzed its effects on macroscopic and microscopic lesions. Limonene and its metabolite perillyl alcohol showed significant influence on the reduction of severeness of skin lesions, expediting the healing processes. The scientists concluded that limonene acts as a powerful apparatus for epidermal healing, and can be used as an effective anti-inflammatory medicine. This study from Japan also focused on the anti-inflammatory effects of limonene, obtained from the peel of Yuzu fruit (citrus junos), which is used as a traditional medicine for centuries, and studied it on human eosinophilic leukemia cells. The results of their research entail that limonene shows promising potential in treating bronchial asthma. There is a lot more research which proves the helpfulness of this molecule for a wide variety of diseases and ailments. But for now, we’ll divert our attention to the strains, which are most abundant with this amazing terpene. Kosher Kush: Because of its high THC levels, this potent Indica is perfect for chronic pain and insomnia, but it also produces some powerful munchie effects. The rich aroma of Kosher Kush is predominantly citrusy but also has an earthy note to it. As a direct descendant of the famed OG Kush strain, it has won two Cannabis Cup’s for Best Indica in 2010 and 2011. CBD Medihaze (Boaty McBoatface): This specially bred medical strain has a lemon-like limonene aroma; but also offers a rich minty and honey flavors to the mix. Because of its high CBD levels, it’s perfect for epilepsy patients, as well as those seeking relief from anxiety, Parkinson’s, and inflammation. Bonanza (Borealis Blend Sativa): This blend is a mixture of several Sativa strains, which are pre-milled for easier consumption by the consumer. The fragrance is a combination of sweet, citrusy and skunky aroma. Bonanza can be used for casual daytime consumption. Odin 2 (Sour Diesel 2): This 90 percent sativa strain has around 15 percent THC, which makes it an intermediately potent cannabis variety. The buds are extremely dense, with orange and pink notes covering the dark green base of the flower. The taste is mostly sour, with a pleasant but not overwhelming hint of diesel. The fragrance of the bud (once it’s sparked) can be described as a pine, diesel and musky/earthy combination. As most sativas, Odin 2 can be used for depression and anxiety. Argyle (Nordle): A crossbreed of Sensi Star and Afghani, Argyle is an Indica dominant, with an almost 1:1 ratio of THC and CBD. This ratio makes it perfect for various occasions, as the CBD cannabinoids lower the psychoactive effects of THC. Regarding the taste and aroma, pine is the key fragrance, with a woody and honey tones which underline it. With Argyle, expect an increase in appetite and slight couch-locking.